I faced the following problem. Me and my family could not sleep due to too cold though single radiator for the big room and too much noice from top floor. Everything was amazing apart from mentioned below. The front office staff were great - especially Gibby who is like to commend on her excellent service & friendliness. The property itself was nice, the rooms nice, and the facilities very clean. Close to tram 2 stop and bus stop 15. With bus 15, we can go to Lelylaan station for 10 minutes. From there take train to Schipol airport. With tram 2, we can go to Amsterdam central. In between, we can stop some historical places. Perfect location. Especially for transportation via metro, train or just walking distance. The staff were very friendly. The atmosphere was very nice. I loved that they had charging stations in the lobby and restaurant. - Super friendly, and understanding staff. - Amazingly comfortable bed. - Really really good price. 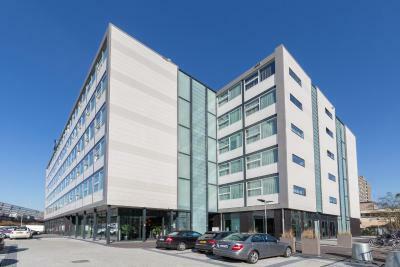 - Close to public transport, but the city center isn't that far away by foot either. The staff was friendly. Room and common areas clean. Bed was comfortable. Close to tram stop. Drink prices were excellent and good delicious. 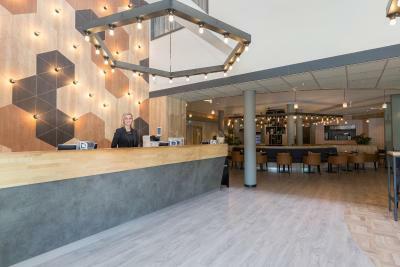 Best Western Amsterdam (formerly known as West Side Inn Amsterdam) This rating is a reflection of how the property compares to the industry standard when it comes to price, facilities and services available. It's based on a self-evaluation by the property. Use this rating to help choose your stay! One of our best sellers in Amsterdam! 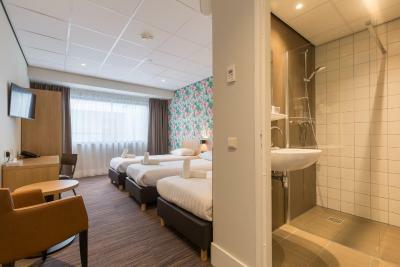 Best Western Amsterdam is located in Amsterdam West district, just off the A10 city ring and 20 minutes' by public transport from the old city center. 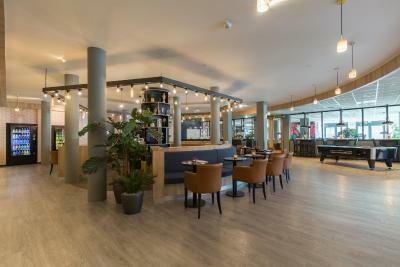 It features a private parking space, 24-hours reception, bar and terrace. 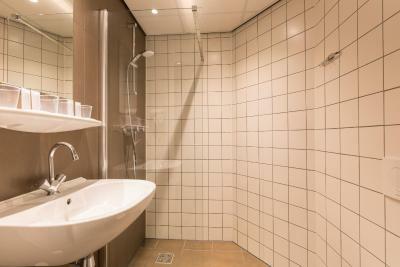 Rooms at Best Western Amsterdam have private bathrooms with a shower, toilet and free toiletries. Other amenities include television, safe and work desk. An international breakfast buffet is served in the restaurant every morning. 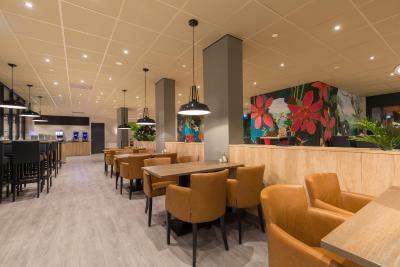 A food corner in the lobby offers salads, sandwiches and pizzas. 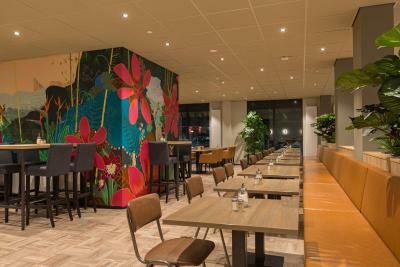 The food corner is opened during night time as well. 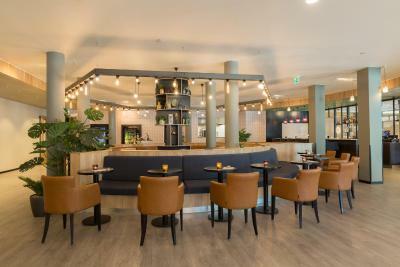 The in-house bar features a lounge area with TVs and a billiards table. 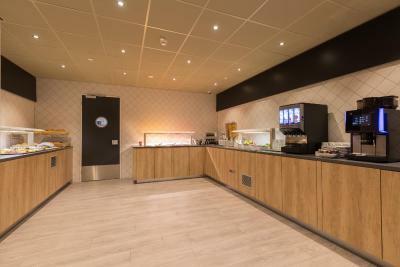 It offers several snacks and a wide variety of beverages. During summer guests can enjoy a drink at the terrace. 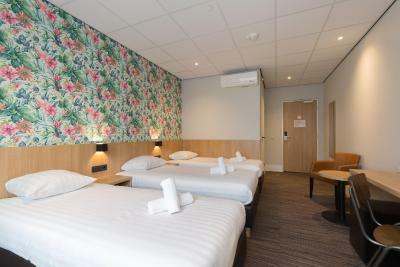 From Best Western Amsterdam, you can easily reach the city center using public transport. The RAI Convention Center, World Fashion Center and World Trade Center are 15 minutes away by metro. 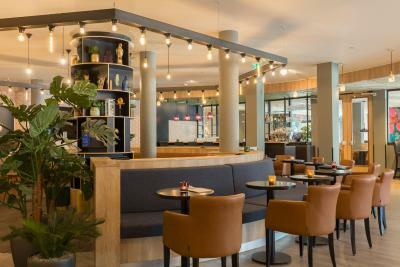 When would you like to stay at Best Western Amsterdam (formerly known as West Side Inn Amsterdam)? This room provides a work desk and satellite TV. There is also a private bathroom with a shower. This spacious room includes a work desk and a satellite TV. 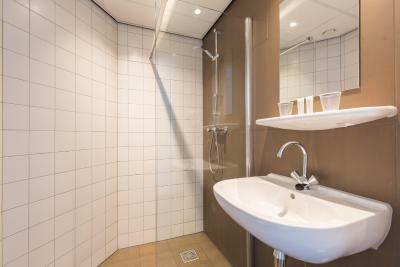 There is also a private bathroom with a shower. 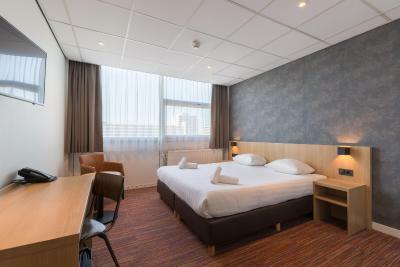 Our West Side Inn Hotel is a comfortable and well located three star hotel in Amsterdam with 232 3-star rooms. 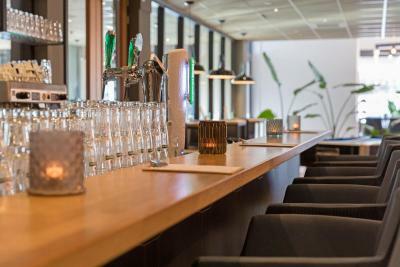 The hotel is ideally situated for a leisure or business trip. 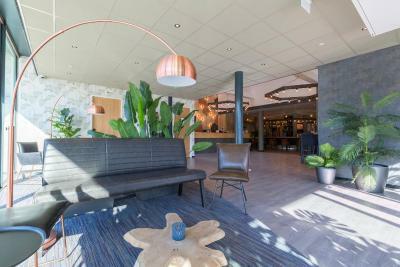 We hope to see you in our West Side Inn and wish you a nice stay in advance. 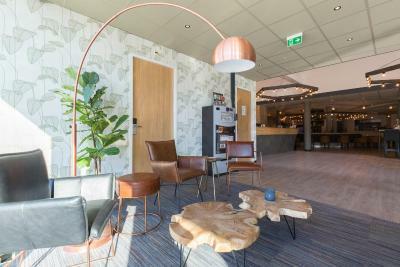 House Rules Best Western Amsterdam (formerly known as West Side Inn Amsterdam) takes special requests – add in the next step! 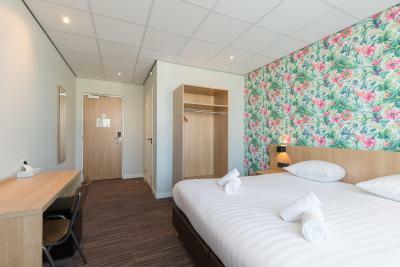 ATM card Debit card Cash Best Western Amsterdam (formerly known as West Side Inn Amsterdam) accepts these cards and reserves the right to temporarily hold an amount prior to arrival. 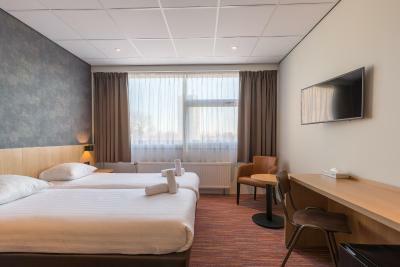 Best Western Amsterdam (formerly known as West Side Inn Amsterdam) accepts these cards and reserves the right to temporarily hold an amount prior to arrival. 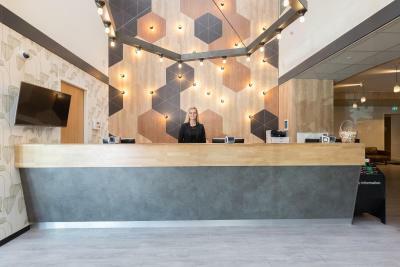 Please note that for reservations that are not paid in advance, the property will check your credit card prior to arrival in order to ensure your booking. This will be done by blocking the amount of the first night on the card. Very noisy room Also the trash containers were close to our Window reason why we close the curtain. No control in room for A/C or heating. The room was insanely hot and I am always cold. I pressed the "room service" button on the phone to order room service but they don't have it.... why the button? No gym. But the real issue is that it is just too far from the center and there are minimal restaurants in the area. 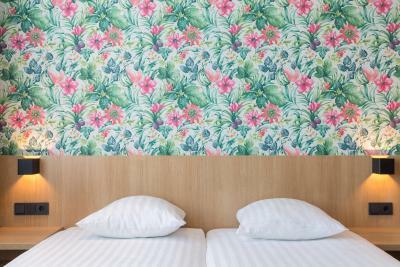 It is very very quiet so if you are choosing this hotel over a slightly higher priced hotel in the center I'd recommend you stay closer in because you can save on transport and have ease of movement to get dinner etc. Finally, hotel breakfast was really not good at all. It looked like it had been sitting there for hours. 1. The mattress on top of the box spring bed was very soft and it felt like I can fall from it any moment. The bed was a bit too narrow. 2. Took sometime before hot water became hot in the shower. 3. Windows were facing a wall. 1. Polite stuff. 2. Close to metro and Lidl. 3. Calm and not touristic location, a bit remote, but the central station is reachable in 30 min by metro. 4. Looks modern. The drain in our shower was blocked both days were there. We were told it was fixed only to have it block again on the second day. Flooded bathroom and showering with feet in muck coming up from the drain was not pleasant. The bed was very comfy, the Room was clean. The bathroom was Beautiful and the staff was friendly and Helpful. It was in a nice quiet area, beautiful hotel and decor, friendly staff, easily accessible, comfortable beds, great shower,perfect temperature in the rooms and the fact I had mentioned my mum's Birthday they offered me a deal for cake, processeco and decorations which they had put out beautifully in our room for our return. The addition of a vegan option in the restaurant menu. Not sure if there were toilets downstairs which might have been helpful at one point. Breakfast food was delicious though there were times that the clean crockery /cutlery replacements could not get there quick enough! Did not eat at the restaurant in the evening as there were no vegan options available and one of our party required this sort of cuisine. Serving a vegan option might tempt us to eat in next time we visit. 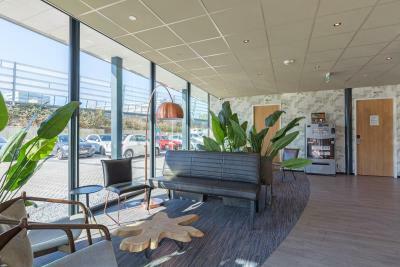 Felt location was good with Metro station only 10 minute walk away and hire bikes were readily available. Staff at counter were extremely helpful with any question that I asked, even to printing out information so that I could visit the Flower Parade in Haarlem (Jos?)!! The hotel is clean and staff very nice, rooms with enough space. Most of the people at the reception were friendly... but not all. Hotel a bit far (25-30min) from the city center but the connection with public transportation was ok.
Water in shower was from burning hot to freezing cold. The water from the first floor was coming down the pipes like it was dropped and it was making a terrible sound. From 4am till 10am it was a nightmare to sleep after a whole day walking in Amsterdam. And the staff was acting like it was a normal thing. The bed that is it.